He was a God once. Until he was cast out his father, Zeus. Now, he's an awkward teenager. The only way out is a series of scary and dangerous trials, of course. For his third trial, Apollo must journey through the Labyrinth to free an Oracle who only speaks in puzzles. Then, defeat the most vicious of three very vicious Roman Emperors. It looks like he will need all the help he can get - from some new and old friends. 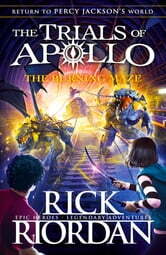 This edition includes a Percy Jackson short story! 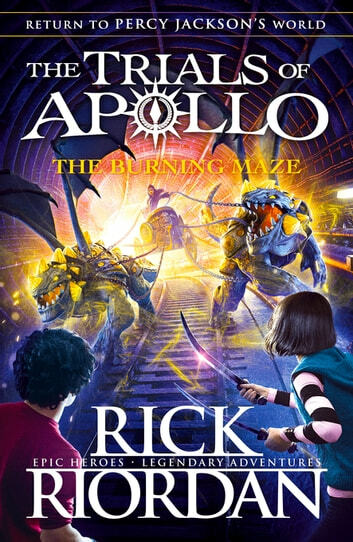 Clarisse, daughter of Ares, the Greek god of war, needs Percy Jackson's help. Her father's chariot has been stolen and she has to get it back by sunset. The only hitch? The chariot-jackers are none other than her terrifying immortal brothers Phobos and Deimos. Can Percy and Clarisse get the chariot back before it's too late? This book is really good because of the cliffhangers at the end of every chapter that makes you want to keep reading. I can't wait for the next book. This book has everything: mystery, fantasy, adventure , once you start you cant stop!